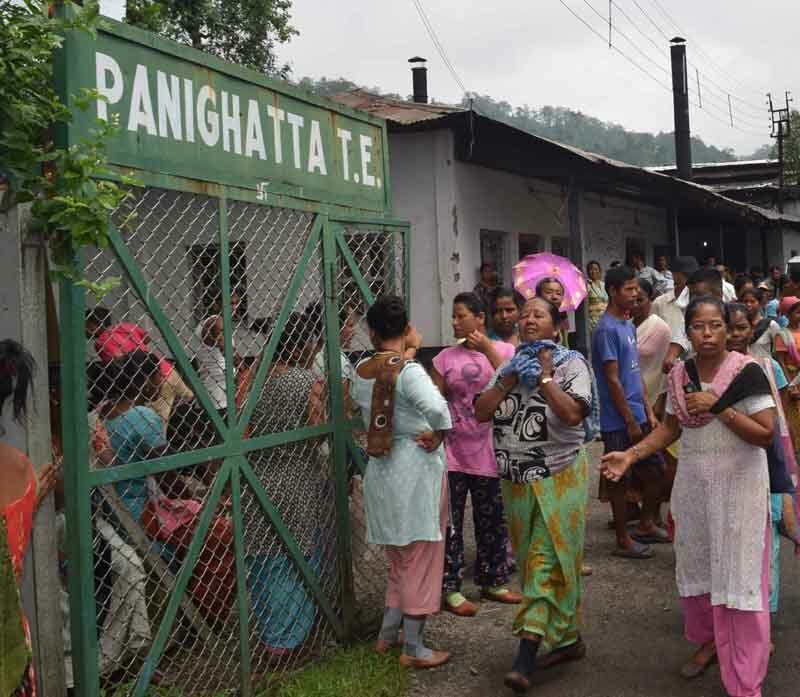 Gorkha Janmukti Morcha (GJM) backed trade union Darjeeling Terai Dooars Plantation Labour Union (DTDPLU) has slammed the Trinamool Congress government for failure to solve the tea garden issue of North Bengal where the death rates are increasing every month. Hariha rAcharya, DTDPLU central committee member and Terai-Dooars convener said, "Tea Gardens of North Bengal are reeling under severe problems and the trend of closure has become common phenomenon but the state government led by chief minister Mamata Banerjee's assurance to resolve the problems of workers have failed every-time which is hurting the sentiments of poor workers." Acharya further alleged that the chief minister during her recent Dooars visit promised to resolve the tea garden issues and assured to adopt the closed tea gardens if the garden owner shows no interests in re-opening. But till now there is no sign of adopting any closed tea gardens by the state government. He said Panighatta Tea Garden in Terai is closed since 10th October 2015 and neither the owner nor the state government has shown interest on behalf of the workers. He also demanded for the revision of the Plantation Labour Act 1951 for the beneficial of tea workers and staffs. He praised and thanked Darjeeling BJP MP S SAhluwalia for highlighting the pitiable condition of tea garden workers of West Bengal in Parliament recently. Ahluwalia during the parliament session said since 2002, 2000 poor workers have died due to starvation and illness, out of which 70 have died this year alone. He claimed the 1951 Plantation Labour Act governing tea gardens was biased towards owners and management who often escaped their responsibility while shutting down the facilities. In Kerala and Karnataka the owners paid a minimum wage of Rs 254 per day to tea garden labourers, their counterparts in West Bengal get Rs 112 per day. Gorkha Janmukti Morcha (GJM) backed trade union Darjeeling TeraiDooars Plantation Labour Union (DTDPLU) has slammed the Trinamool Congress government for failure to solve the tea garden issue of North Bengal where the death rates are increasing every month.